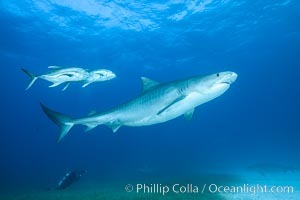 Tiger shark and horse-eye jacks Caranx Latus Photo. 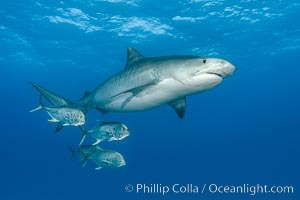 Tiger shark and horse-eye jacks Caranx Latus Picture. 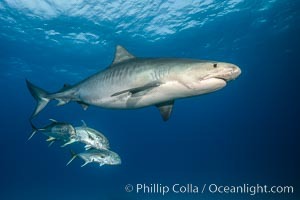 Tiger shark and horse-eye jacks Stock Photography of Caranx Latus. 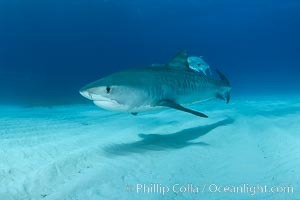 Tiger shark and horse-eye jacks Photograph of Caranx Latus.